This guide to cloud hosting and online storage is an executive summary explaining the role and benefits of cloud storage in today’s business context. It includes definitions, requirements to consider such as storage needs, customer service, security, and price points, and it also includes our selection of the top 10 cloud hosting companies in the market today. Want a quick overview? 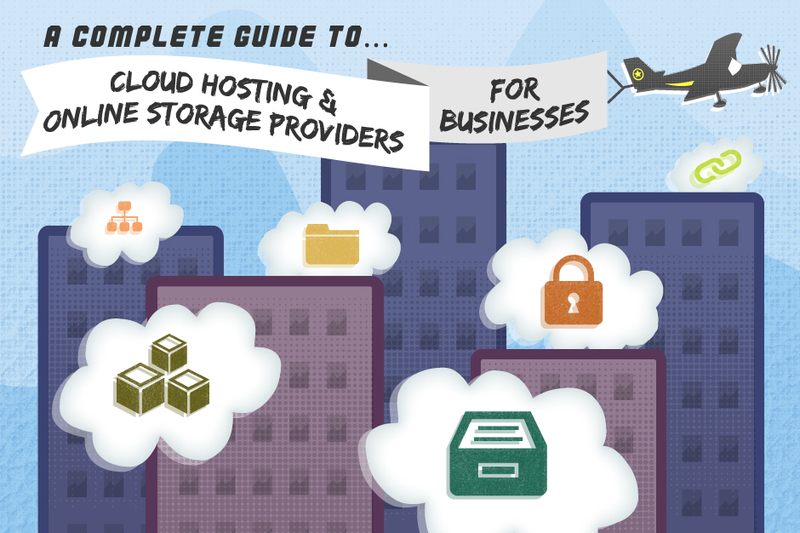 See our illustration of cloud hosting and cloud storage providers. PART 1: What is Cloud Storage? The evolution toward the cloud storage model can be traced back to the 1950’s when one mainframe computer was shared between numerous static terminals. The resources of one computer was further utilized by multiple terminals being able to access the processing power simultaneously. Fast forward as technology has developed, networks have grown and computers are using the internet to connect with each other, enabling new possibilities. Now, we have multiple mobile computing devices that enable us to access our work from anywhere. Businesses need to store, manage, view and edit massive amounts of data. We will look at how cloud hosting and storage is providing an effective solution to that need. The majority of companies have networks of computers which run software, share files, connect through email and store large amounts of data. To install the network, a company commonly builds infrastructure utilizing physical servers to hold all of the information they may need. This can present a substantial up-front cost because the servers must be purchased, installed, and configured. In addition, those servers must be able to hold the maximum amount of data that may ever be used at one time, regardless of how often that usage occurs. The company will need an IT team to manage the servers, software and licenses. Employees that are commonly on-the-go, using a variety of devices, often need to access and edit information from that network wherever they are. The cloud is simplifying the infrastructure by migrating it to virtual servers. By removing the physical need for servers, cloud storage is reducing costs, improving elasticity, simplifying access to software and allowing for broader access from a variety of devices. Virtual servers are transforming the industry to a pay-per-service model for storage space. IT expenditures can be specifically tailored to a business’s needs. With the option to purchase storage on a virtual server, companies can focus more on their business and less on physical IT challenges. They can offload the burden of hardware, in-house IT teams, security, backup, maintenance and support into a 3rd party providers hands. Once a company decides that they are interested in moving their storage to a cloud service provider, how do they know which one to choose? There are hundreds of providers to choose from, where do you begin? What differentiates one provider from another, and which is the best for your specific company? Let’s take a look at different aspects to consider when evaluating these providers. The primary functions these providers offer a business include different variations of data storage, file sharing, security, applications, active directories, multi-level management dashboards and service level agreements to bind their services. When a business has decided what functions are most important to them, they can compare how providers stack up in the following aspects. One of the primary benefits of moving to online storage is the potential cost reduction. When choosing a provider, be sure that the pricing is pay-per-service with flexibility to add or remove as you go. If a company is charging a large cost up front, investigate very carefully. Prices can range greatly, so get a quote for per-month, per-user and per GB/TB. As your company grows, your storage needs will also expand. A cloud storage provider should be able to meet your needs now and in the future. Find out if there are limits to the amount of storage you can add on. Security is a serious concern for all of a business’s information. When choosing a provider, ensure that they have firewalls, data encryption, anti-virus detectors, multi-factor user authentication and regular security audits. There are different government regulations for varying industries, so verify that the provider follows any applicable regulations. It is important to find out who will be able to access the business’s information in the cloud. Look for providers who are certified to ensure that the provider has met industry standards for security of customer privacy, data center physical security and data redundancy. The physical location of the servers and how vulnerable that facility is to break-ins is of high concern. In the unfortunate circumstance that data is mistakenly lost somehow, find out how the provider handles that situation. They should have policies written in their Service Level Agreement to outline their response to this problem. Also, it is helpful to find out how they go about preventing potential losses. How easy and convenient a cloud service is in experience is another important factor to consider. Find out the process that a provider uses to onboard users once they sign up. It should be easy to access your information from any device connected to the internet through a simple login page. Ensure that the provider offers remote access. 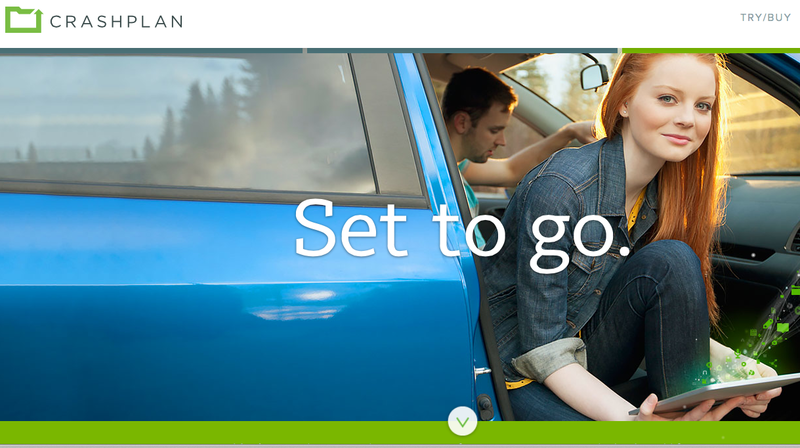 Find out how easy it is to add users, adjust plans and pay for services. Also, how user-friendly is the user interface? A crucial factor to consider with cloud storage is the downtime of the provider. Ask for a history of the downtime that they have undergone, how often it has happened, how long it lasted and if advance notice was given. The less down time on their track record, the less interruptions to your information access. Cloud storage itself is greatly beneficial, but it is not the only feature to consider. Many providers specialize in specific cloud services above and beyond storage. Depending on the type of business, there is an opportunity for further benefits from providers who offer, for example, Quick Books, customer relationship management or media storage software. Review your business needs and what tools will help you reach optimal efficiency, then look for a provider that can include those in the service. Additional services ideal for businesses to have access to include: file versioning, auto-syncing, collaboration tools, file editing capabilities and file encryption. When a provider offers applications integrated into their platform, they are optimized for use on the cloud, whereas separate applications may not be optimized for the cloud infrastructure and therefore don’t operate ideally. When managing information that is crucial to your business, getting help and support when you need it, is important. Ask questions about the cloud storage provider’s customer service. The provider should have a 24 hours a day, 7 days a week technical support service available, whether online or over the phone. You will want to know what kind of service you can expect; will technical care be available or only scripted customer care representatives? Look for companies that provide comprehensive support as this will be important in the instance of a crisis. When choosing the right provider for your particular business, you need to identify the specific needs of your unique business. Examine how much data you need to store, how many users you have and what features are cost-effective for your business. You can choose a provider who offers an entire package including file backup, sharing, collaboration, sync, security, management and applications. If your business prefers a particular platform and their respective applications, large companies such as Google, Amazon and Microsoft offer a service through their existing platforms. You may also choose a smaller provider who specializes in a particular benefit. There are many providers to choose from in the current market, so be sure to use these guidelines before making an investment. This cloud storage service provider is recommended for businesses who have large amounts of data they need stored with high security measures. Copy.com is a leader in cost per user for unlimited storage. 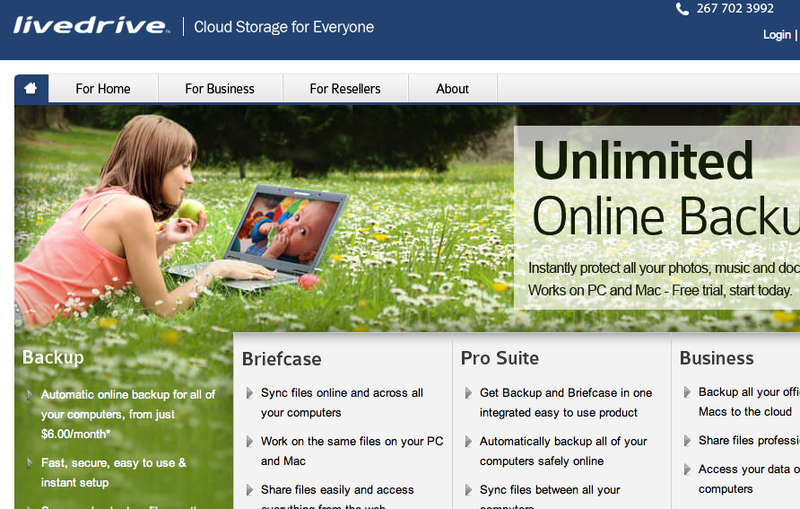 10 users and above, unlimited storage space, $79 per month. Additional user costs decrease as quantity increases. This new provider on the block gives the big dogs a run for their money. This service uses their apps to sync files across computers and mobile devices using various platforms. They don’t have any size limits or viewing restrictions on files or folders. They offer a special “fair storage” feature where shared files get divided between shareholders to occupy less space for each individual. Files are stored on servers that are controlled and managed by multiple layers of encryption while in transfer and storage. They also offer additional security features including source validation, identity verification and secure sharing backed by an established security provider, Barracuda Networks, who launched the service. Pros: 15GB of free storage, Fair Storage feature, referral program with 5GB storage perk, secured sharing, great interface, sync files from desktop folder, syncs quietly in the background without consuming entire bandwidth. Cons: Slower upload speed than Dropbox competitor, lacking in integrated applications, customer service is lacking live contact information in real time. Dropbox has been an industry leader among cloud storage providers and is offering unlimited storage to users at a reasonable price. It features tools to manage data on multiple levels, syncs across a variety of devices, provides security and integrated applications. Dropbox is well known for individuals, and has bulked up their service to provide business owners with the storage that they need. Business owners can easily sync and share files for multiple users, take advantage of unlimited storage, use IT-focused third party apps, use a centralized administration panel, collaborate with other users on documents, provide activity monitoring, control extensive security settings, track files and recover lost files. 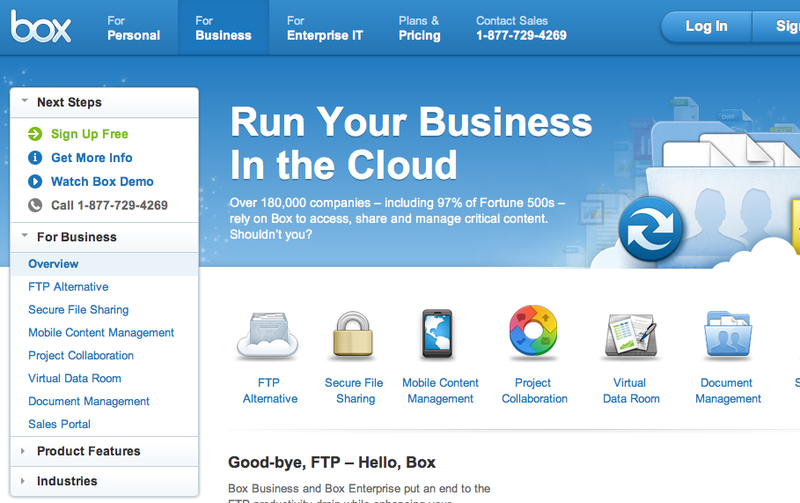 Dropbox has been the leader in cloud storage and offers a complete solution for businesses as well. Pros: 1TB and free unlimited storage upon request, Drop Box apps available, Admin panel, easy collaboration with users, vast security options, unlimited document version tracking. Cons: Technology to speed downloads, can hog bandwidth. Google Drive, a full service platform offering businesses many integrated application for ease of doing business, is among the best cloud storage options available anywhere. It is great for large user bases and reasonable for storage costs. The platform also provides ease of file sharing and security to back up files. Google launched their cloud storage and service platform that is partnered with their Google Docs suite. This solution is great for businesses who are already using Google services. 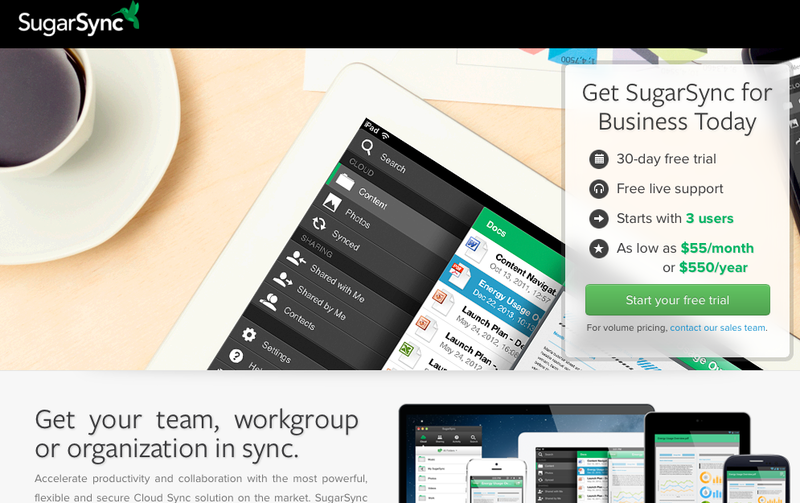 It syncs files, is compatible cross-platform from PC’s to mobile devices, allows for collaboration and editing. This service takes editing a step further by allowing files to open in their program, even when that program is not installed on the computer it is being opened on. The service also came with an open SDK for the creation of additional add on apps. 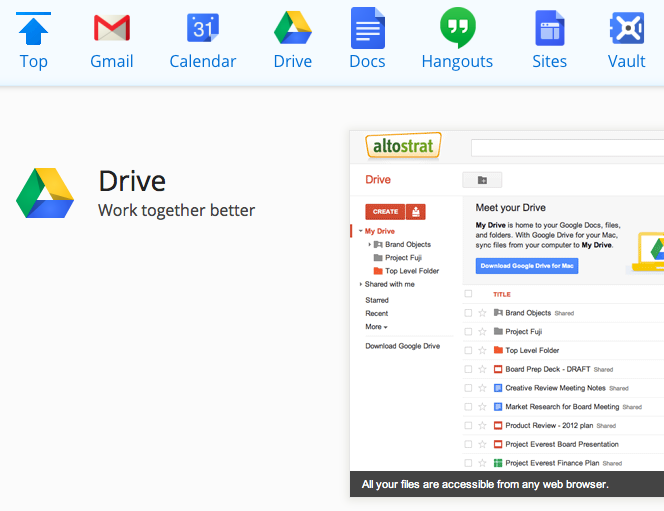 Google Drive provides all the basics of syncing files, compatibility with PC’s and mobile devices, great apps and easy sharing. Pros: Google Docs interface and editors integrated, displays files in their native programs. This solution provides small to large businesses with a reasonable price for cloud services and data storage along with security, information management tools, file sharing capabilities, collaboration tools, auto syncing and ease of use. Cost: Pay by user and storage units. This solution is geared toward enterprise companies and provides services for over 80% of the Fortune 500 companies. They have a solid platform that offers security, collaboration, file syncing, diversity of compatible devices and information management tools. The one area that they are lacking in compared to competition like drop box is the integrated apps that are available. Pros: Easily upload, organize, share via link and manage who can access files. Get access to tracking, monitoring and robust permission controls. View, share and upload content from any device. Collaborate online with groups of people where you can comment and get updates in real-time. Includes sales portal. Great security, good integration into enterprises. 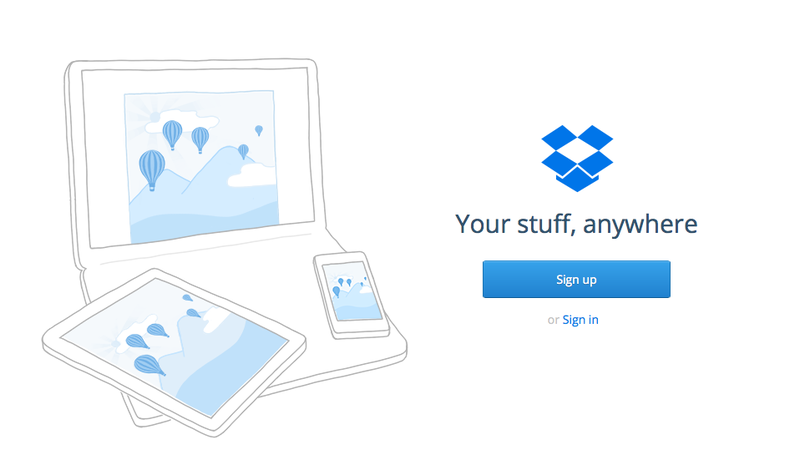 Cons: Modest application integration compared to Dropbox. This service is helpful to companies reliant on Microsoft Office applications as they are integrated. Pros: Benefit from Microsoft’s eco system of Office web apps that can be used cross platform. This service is reasonable for small to large businesses with in data allowances. It provides file backup, seamless syncing and security. Cost: Pay by user and storage unit. 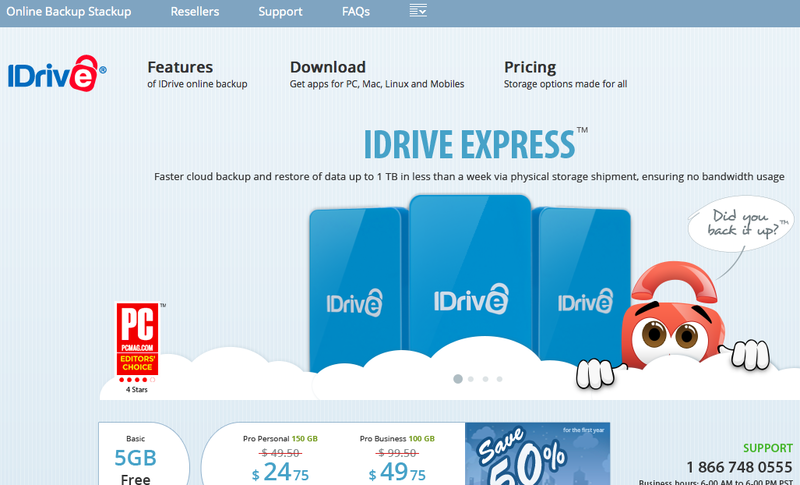 This cloud storage provider syncs files across multiple platforms and tailors them to all mobile devices. They are also strong in their customer service delivery offering a live chat option. They have an administrative dashboard for monitoring their user accounts. They also offer security features that allow for remote wiping of suspected malware and disaster recovery of files. They are cheaper than competitors, offer comparable features and offer monthly and yearly pricing options. Pros: Live Support, Central Administration, Syncs with Mac, PC and all current mobile platforms, view file versions, backs up lost files, use links in place of attachments to view files, unlimited devices, remotely wipe computer. This service is a perfect solution for companies with heavy data use. It also works well for companies that need to collaborate on files together. Express: $37 per month for 2 TB of storage for 3 users. Standard: $125 per month for 10 TB of storage and 10 users. This cloud service is a full solution with features allowing users to upload, share, view and edit files. It is also designed as a collaboration platform where teams of people can share files discriminatorily. The service also allows for managing users and branding a company. Pros: Full feature solution with benefits for businesses that include branding and collaboration. I Drive is cost effective for companies with a large amount of employees on various devices that need data storage and varying access levels. This is not ideal for data heavy companies as their in no unlimited storage option. The service backs up an unlimited amount of devices across various platforms to the cloud at 10 minute intervals. It also allows data management filters for different department levels granting varying access. They offer a special feature for getting started where businesses can load their data onto a hard drive provided by them and ship it to them encrypted for uploading. 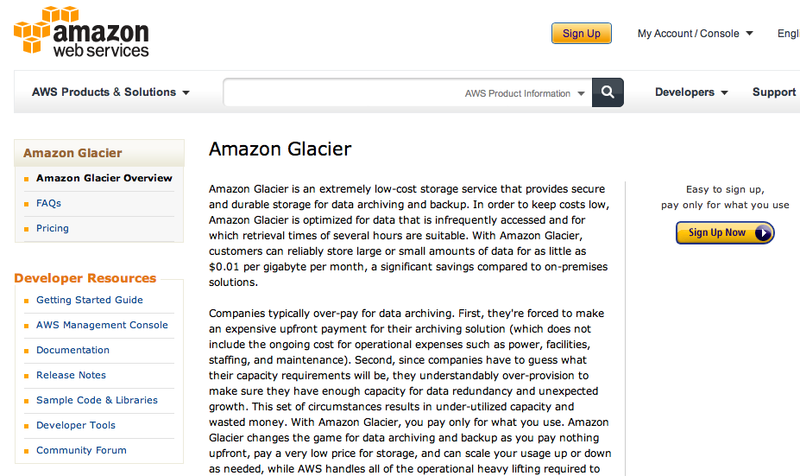 Glacier is effective for businesses who need to store massive amounts of data for long term back up. The service is the least expensive out there in terms of storage, but access to the files is designed for emergency situations. Retrieving files can take 3-5 hours and cost additional rates. Cost: Pay by storage unit and when retrieving documents. This cloud service is part of Amazon’s network of web solutions. It allows users to upload files for back up and archiving. Crash Plan is good for medium sized businesses with an average amount of data storage needs. They provide great security and syncing. Cost: Pay by storage unit and users. $499.50 per month for 1 TB of storage and 50 users. This underdog in the industry offers top notch services to enterprise users. The service backs up files to the cloud automatically. The files are easily retrievable as well as secure with 128-bit AES encryption. Pros: Automatic sync and security. Cons: Lacking in app integration, collaborative features, price is bulky. You have understood the benefits of migrating your businesses servers to the cloud, you have chosen the right provider for you and now all that is left is moving the data over. Service providers offer this service to companies without any down time. In many cases, the process of migrating a traditional server over to a virtual server is relatively straightforward, in that converters are available that allow the full copying of the server’s data out of its existing place and into an open cloud interface. Typically, the third party cloud hosting provider will seamlessly perform this migration for your company and introduce you to how to manage the system. The task is finding the right provider for your business, from there it is easier than most would expect to make the switch to virtual hosting and storage. Techtarget: What is Cloud Storage? Jessica Walrack began her career with technology working as a sales representative for T-Mobile USA in 2007, when a Blackberry Curve was the hottest device. She grew with the company as technology advanced over the following 6 years. Jessica learned about the many platforms available including Android, Blackberry, Windows Mobile and eventually Symbian. She became a sales leader and manager with the opportunity to attend and eventually lead trainings about the latest technology advancements. Through cloud storage for mobile devices, she became familiar with this technology. She left T-Mobile and began freelance researching and reporting for clients within the technology industry. With the entire IT industry moving to the cloud based infrastructure, she has become versed with the topic. Through this work she has become a resource for clients who need technology concepts put into words for a larger audience. See Jessica’s Google+ Profile.